We serve businesses of all sizes for working capital, inventory purchases, machinery and equipment and real estate purchases and improvements. Our line of products will help you run your business as efficiently as possible. Contact any of our bankers who are ready to help you with your business needs today. Choose a Operating Line of Credit to help with your businesses cash flow. We provide custom options that fit your business needs. Loans to purchase or refinance commercial buildings, residential rental properties, and development properties are available for owner and non-owner occupied properties. Commercial building loans are available for building contractors as well as owners/builders. Loan maturities match construction timelines and payments are interest-only during construction. Once construction is complete you can convert to a long-term mortgage. Contact us if you are interested in purchasing or refinancing machinery or equipment. We offer competitive rates and fast approval. SBA is used for new business, specialized equipment or when collateral may not be sufficient. New business is inherently risky and loans for specialized equipment can be risky as well. The SBA programs are used to mitigate risk for a lender. For example, the 7a program offers an 85% guaranty for loans less than $150,000 and a 75% guaranty for loans more than $150,000. The 504 program is another great product and is used primarily for real estate purchases or can be for construction of a new building. There are two great things about the 504 program. It requires only 10% equity from the borrower and the loan has a fixed rate for the twenty year term on 40% of the loan. A fixed rate for twenty years is not typically available on commercial loans. There are also other types of SBA loan guaranties available for other purposes. Kert McKeone has been helping borrowers with SBA loans for over twenty years. Many borrowers hear SBA and think more paperwork. Kert can assist the borrower in such a way as to make the process go smoothly. The SBA programs are great tools that Western Nebraska Bank uses so the borrower can obtain the loan they need for their business. 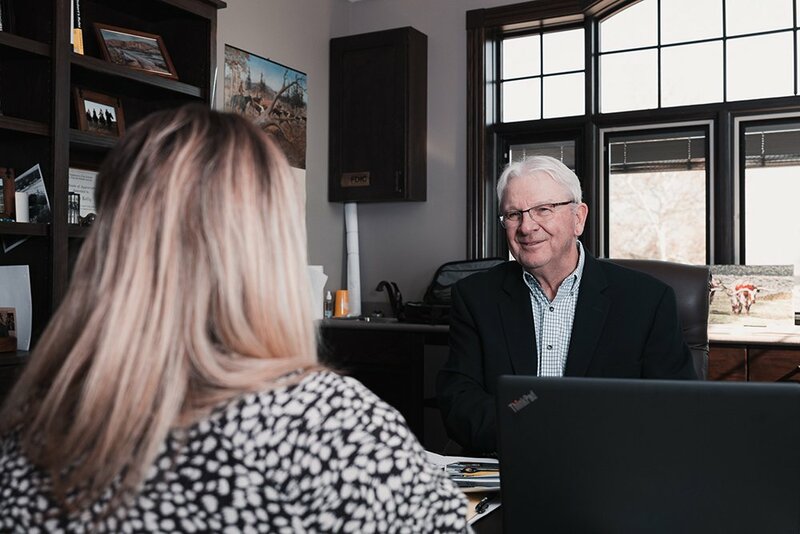 To discuss if an SBA loan is a fit for your business, stop by Western Nebraska Bank or call Kert McKeone at 308-534-4488 and let him go to work for you. Provide convenience to your customers by the availability of credit and debit card purchases. Our credit card processing allows authorization and settlement of all Visa transactions.